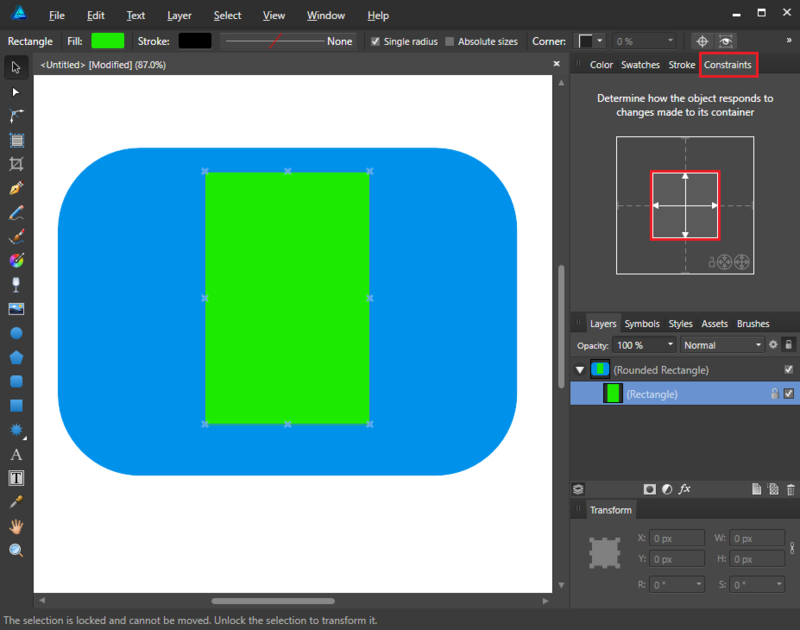 How do I prevent child shapes from resizing when moving ther parent shape's boundaries? 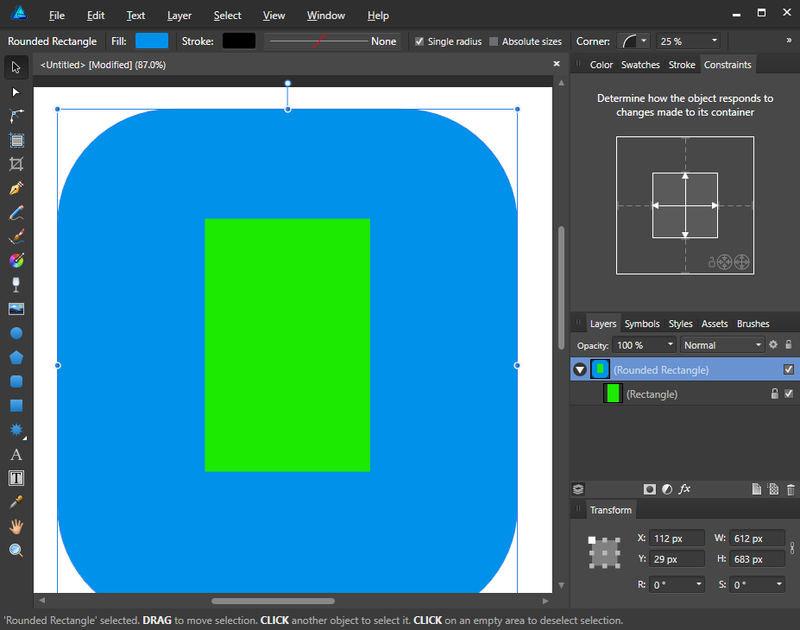 Can you please attach the file with the objects you are trying to resize (you can delete the rest) so we can see what type of objects are you working with and their layer structure? You will see the white arrows. Click on them until they look like this. 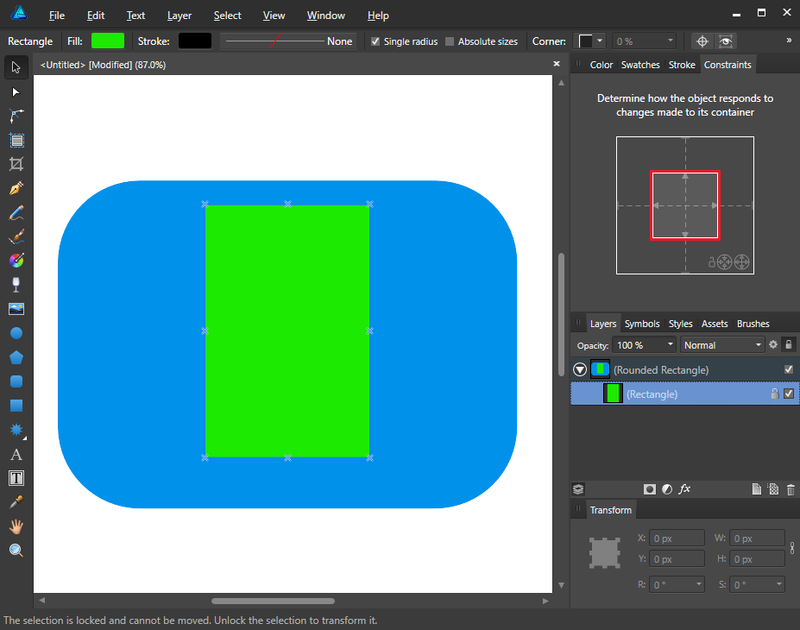 Now you can resize the container without changing the size of the inner object. So i assume you wanted to keep the relative position of the child. If so then that's the way to go. Unlocking the child layers does prevent them from being resized when the parent is resized, but I now see that is not really what you were trying to do.